The American obsession with cars is still evident to many. Since the first car rolled off the production line all those years ago, the number of different makes and models produced in the USA today is astounding. For many American’s there is one type of car that holds a special place in their hearts, namely the muscle car. In fact, every car manufacturer in the USA has such a vehicle and below we take a look at what we consider to be the top US muscle cars. These top muscle cars are in style even today. These cars have stoically endured the advances of technology and maintained its popularity among car lovers. These cars have endured the competition because of its special characteristics like power, sturdiness, and astounding performance. These are the 1969 muscle cars which do not have any frills, just brute speed, and rock steady performance. So how do you decide what is a muscle car? For those who live in America, it isn’t just about performance but also how much they capture a person’s attention and imagination. When we think of muscle cars, of course, the first one you are likely to think of is this. It first appeared back in 1964 and over its lifetime we have seen some changes made not only to the cars performance but also its looks. This remains in production today and has proven worthy over the years of being given the muscle title. It has been a favorite vehicle used in not just TV shows but also movies. Introduced to the world in 1961 this is considered to be the original muscle car and is now considered to be a living legend. It was fitted with a 409 cubic inch engine and was able to perform at levels never seen before. This car was able to go from 0 to 60 in just 7 seconds as well as being able to cover a 1/4 mile in 14 seconds. To further strengthen the cars reputation “The Beach Boys” released a song called “409” paying tribute to it. This has earned its place in our top 10 US muscle cars of all time. All of us growing up in the 1980’s will remember watch “The Dukes of Hazard” and seeing Bow and Luke saving the day in theirs (The General Lee). From the beginning, this car came available with a 426 Hemi but reached its pinnacle in 1969 when the gigantic 500 became available. For some considerable, it was the dominate force on the NASCAR circuit. This is considered to be the first modern muscle car and was produced from 1964 until 1974. Although not the fastest of the muscle cars it was still extremely popular. This could be put down to the way it looks, the way it preformed and of course how affordable this car was to buy. By 1968 the production of muscle cars was changing, and manufacturers were looking to get away from low-cost electric models. 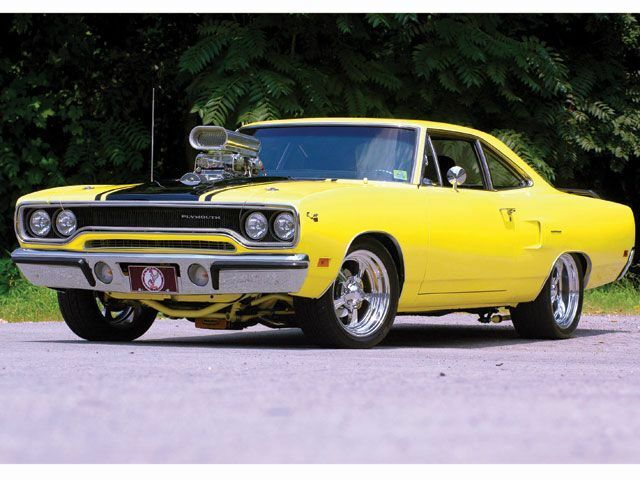 When this car was introduced, the manufacturer was looking to return to the muscle cars roots. It was the first of its kinds at this time to be able to cover a 1/4 mile straight in 14 seconds but the cost to buy was less than $3,000. By 1968 sales of this car were outstripping the company’s other much better muscle car the GTX. Of the top 5 US muscle cars we look at in this article, this one was produced from 1968 until 1980 in a variety of different styles. The Firebird was launched in 1969 with a drastically restyled external and interior. It was not taken kindly by the fans. GM after too long a wait brought back the “Goat”, much to the delight of muscle car enthusiasts. One of the original muscle cars, the GTO was introduced in 1964 and ran through the 1974 production year. The goal with its re-introduction was to keep the awesome performance of the GTO without breaking the bank. With a 6.0 liter LS2 V8 rumbling under the hood offering 400 horses, the new breed of GTO ran from 2004 to 2006. But, this is one car that can’t be held down and will be sure to emerge again in the future. This high performance Cadillac makes an impressive introduction to the muscle car ring. While the Cadillac name may not exactly historically call for performance, the CTS-V delivers with power, a roomy interior and great handling. Sporting surprising 400 horses of power with a 6.0 liter V8, this baby sits you in the lap of luxury with a surprisingly low and significant performance. The muscle cars won the record of topping the charts just after their brief introduction to the market. The market penetrating factor was the demand the racing trend among the youth, which was the only emerging segment regarding spending power at that time. Owning a muscle car is every young man’s dream. Muscle cars are also known as “supercars” refer to high-performance automobiles. Know more about this luxurious collection.There are so many individuals in the world that have shown their American pride by involving themselves in some way to American muscle cars.